A rainbow is an optical and meteorological phenomenon that is caused by reflection of light in water droplets in the Earth’s atmosphere, resulting in a spectrum of light appearing in the sky. A rainbow is not located at a specific distance, but comes from any water droplets viewed from a certain angle relative to the sun’s rays. 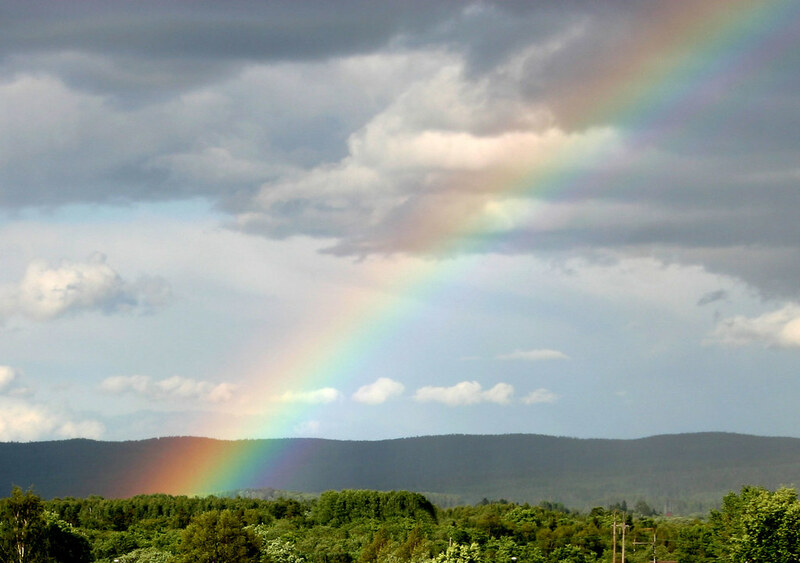 Thus, a rainbow is not an object, and cannot be physically approached. 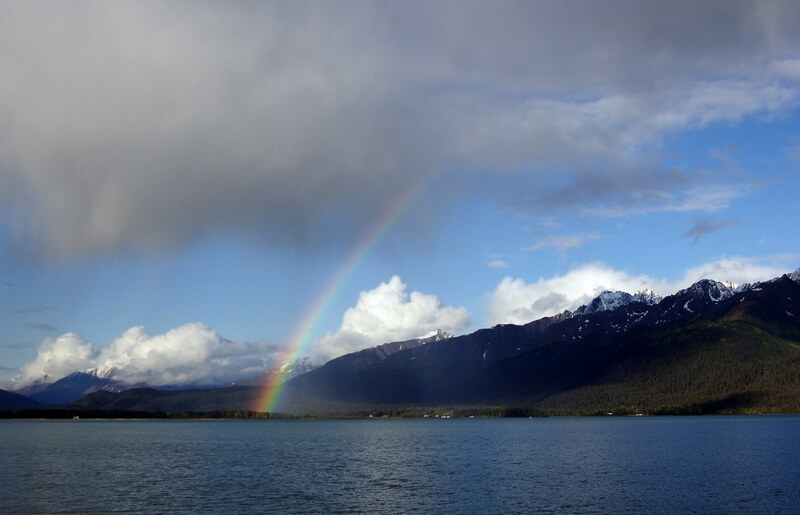 It is impossible for an observer to see a rainbow from water droplets at any angle other than the customary one of 42 degrees from the direction opposite the sun. 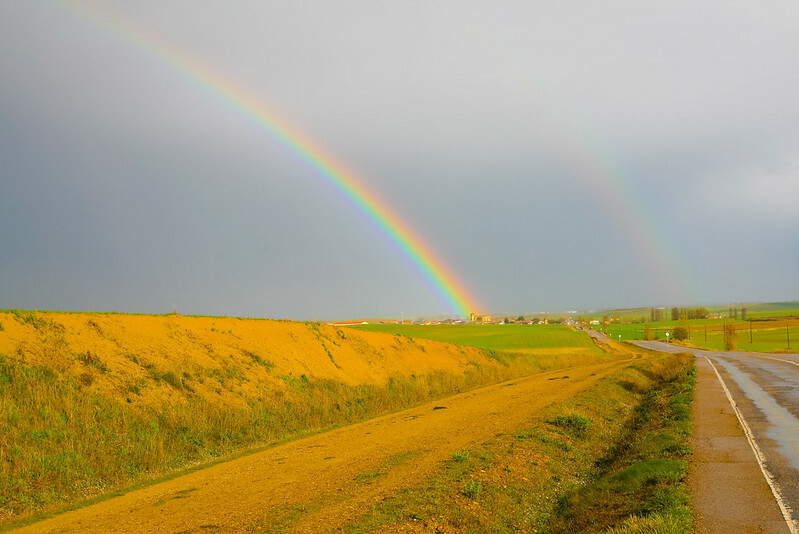 Even if an observer sees another observer who seems “under” or “at the end of” a rainbow, the second observer will see a different rainbow—further off—at the same angle as seen by the first observer. The most commonly cited and remembered sequence of colours is red, orange, yellow, green, blue, indigo and violet. 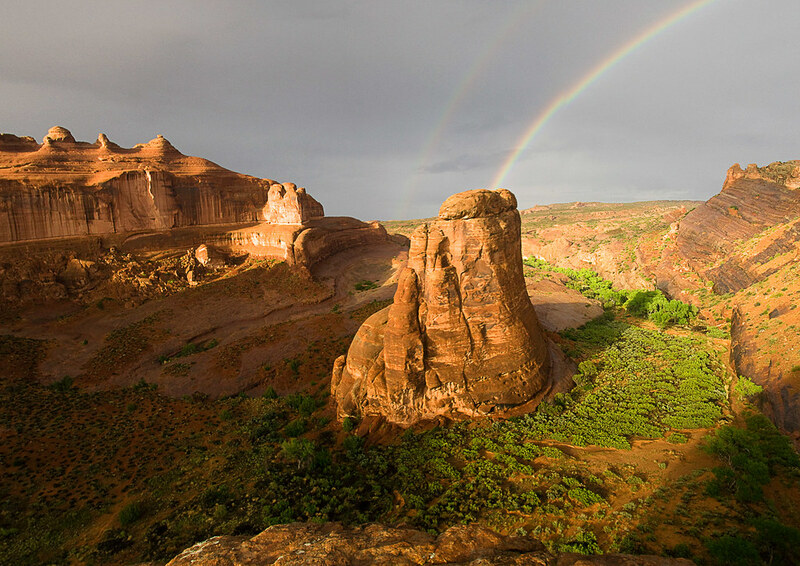 Rainbows can be caused by many forms of airborne water. 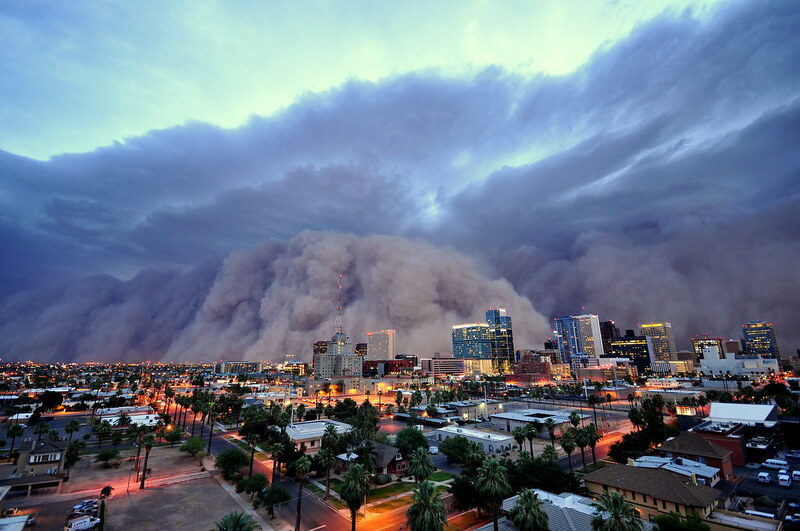 These include not only rain, but also mist, spray, and airborne dew. 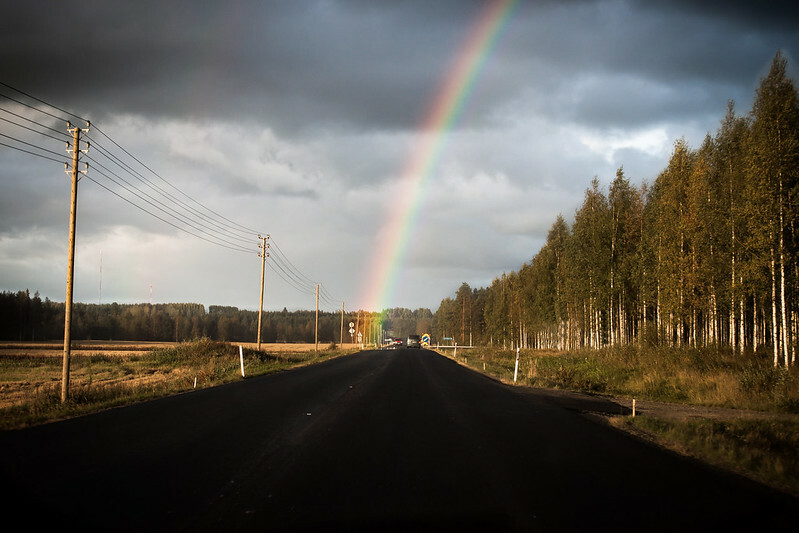 In the series of photographs below, we see the mystified end (or beginning) of a rainbow. 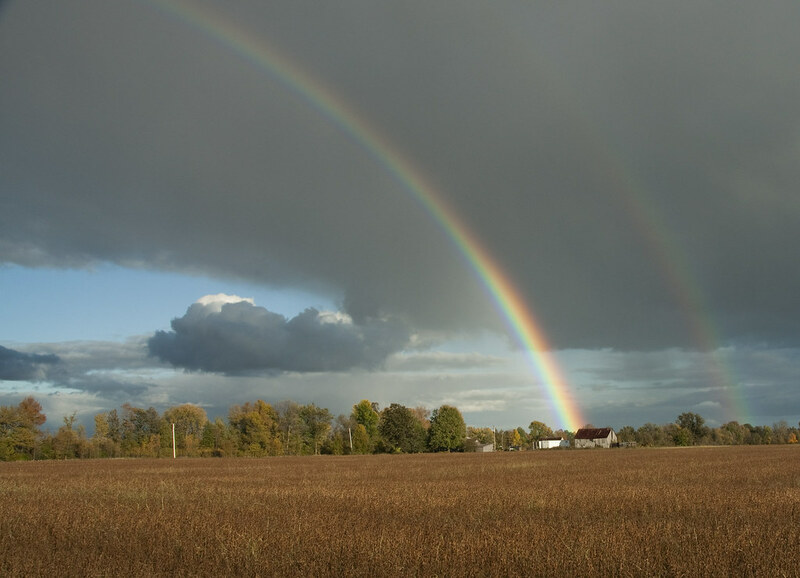 Aside from the folklore surrounding leprechauns and pots of gold at the end of rainbows, they are also an interesting phenomena to capture, visually speaking.